thanks to all those who bought sale items - they sold jolly well and now i've only got 5 pieces left (2 x flower basket in greens, 2 x flower basket in pinks and 1 x meadow in plum if anyone's interested!) actually just sold one each of those while typing this, so there's only one piece each left of flower basket in greens and pinks! only one piece left! 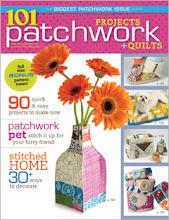 click here for the sale section. all gone! 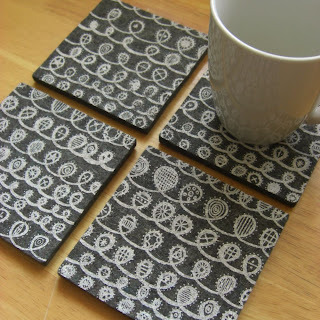 so anyway...here's something new from summersville...screenprinted industrial felt placemats and coasters. i've done a brand new design for these, but in the meantime, i got over excited and used twist in white on grey. dreamy! lots and lots of options here - all of my designs will be available in grey, black and off white backgrounds in lots of different ink colours. more sets will be listed slowly over the next few weeks... so if you fancy any of these printed to order, just let me know. 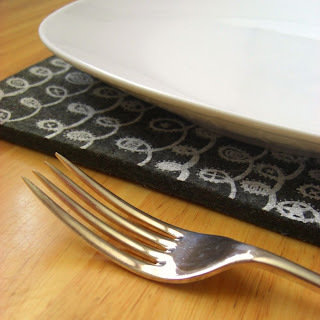 sets of 2 placemats cost $17.50, sets of 4 are $32.50. sets of 2 coasters cost $7.50 while sets of 4 are $14. check out the listings here and here. You just get more and more brilliant. Oh, I love the felt! love the felt idea, and they look gorgeous! And your WW food will look even more appetising sat on top, hey, its not so bad, Im on it too at the mo (for the summer jols) and its working. Just bloody hard to keep motivated when all you want to do is eat cheese... or a big fat bacon sarnie! !